Exactly 9 years ago we published the very first article on this very website. Many things changed since then, but one thing remained the same: our obsession for publishing valuable, practical quality content. We proudly stand behind our work — the books, the eBooks, the conferences; our craft is ours, but our work serves the community and belongs to everybody. As a team, we are happy and privileged to do what we truly love, and we know that this wouldn’t be possible without your kind and generous support. So thanks for sticking around. Now, a birthday calls for a birthday party, so we’ve prepared a little something for you to celebrate the day: a free chapter on responsive design patterns (PDF), a Mystery Riddle, a new free eBook and a birthday special: if you grab the hardcover of the Smashing Book 5 today, you’ll get five Smashing eBooks as a gift for your kind support. Exactly 9 years ago we published the very first article on this very website. Many things changed since then, but one thing remained the same: our obsession for publishing valuable, practical quality content. We proudly stand behind our work — the books, the eBooks, the conferences; our craft is ours, but our work serves the community and belongs to everybody. As a team, we are happy and privileged to do what we truly love, and we know that this wouldn’t be possible without your kind and generous support. So thanks for sticking around. 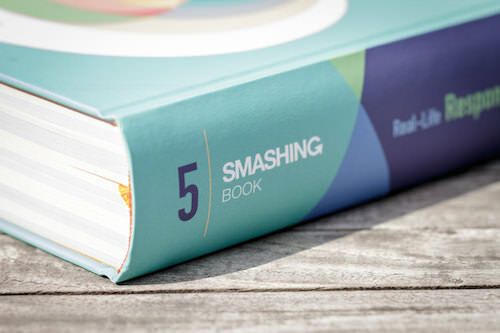 Now, a birthday calls for a birthday party, so we’ve prepared a little something for you to celebrate the day: a chapter on responsive design patterns (free PDF), a Mystery Riddle, a new free eBook and a birthday special: if you grab the hardcover of the Smashing Book 5 today, you’ll get five Smashing eBooks as a gift for your kind support. We love taking up challenges, and with every new book we nudge ourselves a little bit harder to get the most relevant content out there. 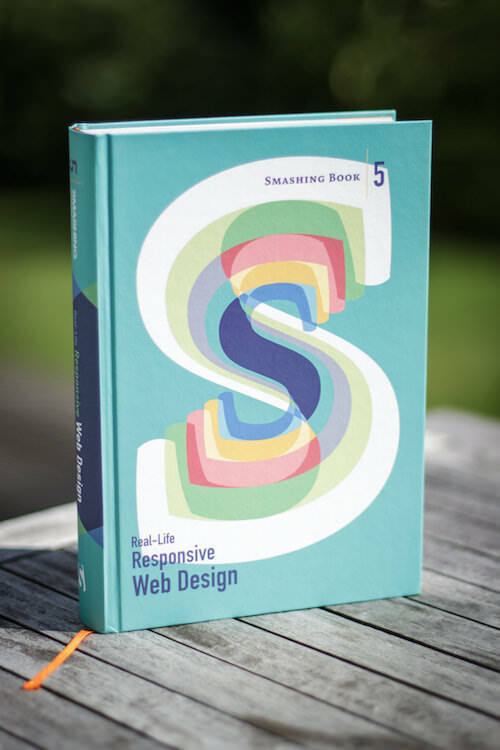 Looking back at last 9 years, every Smashing Book feels like a very special milestone, and the new “Real-Life Responsive Web Design” isn’t an exception. Now, responsive design is a default these days, but we are all still figuring out just the right process and techniques to better craft responsive websites. That’s why we created a new book — to gather practical techniques and strategies from people who have learned how to get things done right, in actual projects with actual real-world challenges. Birthday bundle: Print + 5 quality eBooks. Free worldwide shipping. Only for 24h. 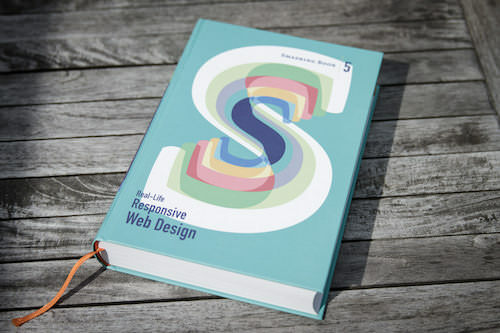 Neatly packaged in a gorgeous hardcover, the book features practical front-end techniques and patterns from well-respected designers and developers. 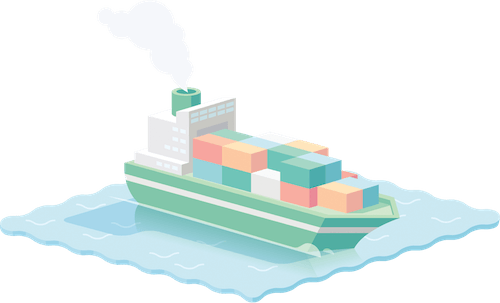 The book isn’t concerned with trends or short-lived workarounds — it should stand the test of time and as such, it’s focused on actual techniques used today in real-life projects. The techniques that you could apply to your websites today, too. Book reviews are pretty damn good, and photos, too! You can check testimonials and reviews as well. Once again, the book is going to be quite thick, and obviously both hardcover or digital editions (eBook in PDF, ePUB and Kindle) will be available. 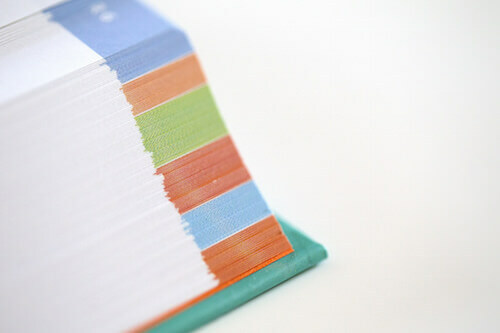 So if you want to get your hands on the book, you better don’t wait too long. We know it — you’ll love the book as much as we do. Free worldwide shipping. 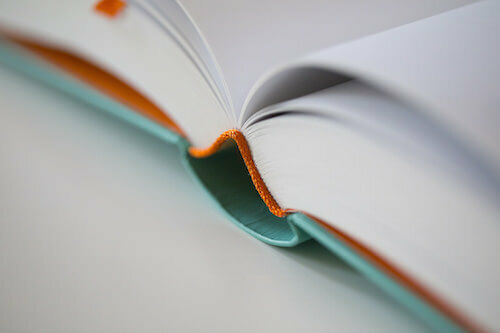 582 pages (91 extra pages in the eBook), 16.5 × 24.0 cm (6.5 × 9.5 inches). The eBook available as PDF, EPUB, and Amazon Kindle. Get the printed hardcover (and goodies for free!) today. To give you a feeling of what the book is about, we’re happy to release a free excerpt of the book — a chapter on responsive design patterns and components by yours truly. How do we deal with complex tables when building responsive websites? What about advanced interface components? Dashboards? What about the behaviour of web forms, navigation, mega-drop down menus, filters? Can we utilize vertical media queries and portrait/landscape orientation change? In this chapter, we’ll look into clever practical techniques for improving UX of responsive sites, with innovative approaches to designing “responsive modules” such as mega-drop downs, tables, calendars, accordions, maps, sliders, responsive PDF and responsive iconography — and a dash of anti-patterns to avoid as well. Available for free download, in PDF, ePUB, Amazon Kindle formats. Download files separately: PDF • ePUB • Amazon Kindle. Obviously nothing can replace the feeling of holding the books in your own hands, but here are a few photos to give you some idea of what the book feels like. But frankly: it’s as beautiful as it is valuable. Image credits: Marc Thiele and Stefan Nitzsche. It’s almost as if each author made a promise that you would not leave their “class” with any questions being left unanswered. That’s how in-depth the chapters are to me. The new Smashing Magazine book is outstanding. 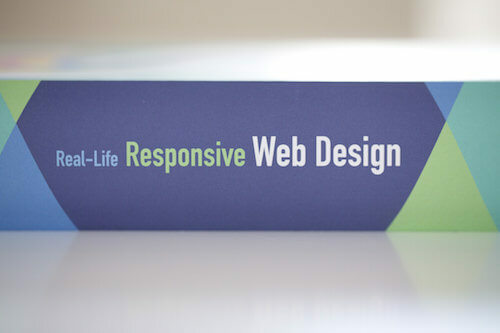 If you're designing or building responsive websites, it's a must-buy. 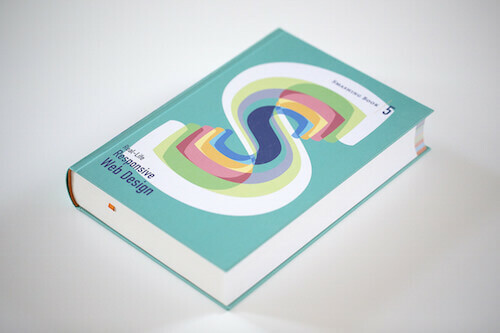 Smashing Book #5 is now your RWD bible. Stop searching, buy this book, and spend a weekend filling your brain with the most useful, technical information on RWD you can find anywhere. A few years ago, my wife and I pushed Microsoft to embrace responsive design. Selling responsive design to an organization like Microsoft isn’t easy: it takes not only tact and diplomacy to overcome the inertia of habit and fear, but also a brand new skill set. 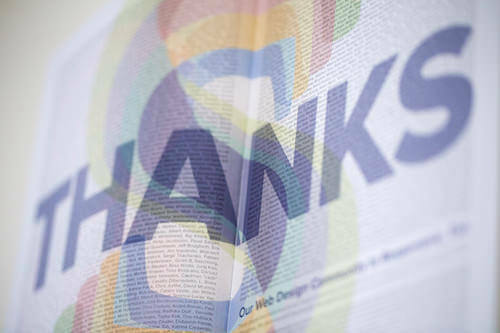 For the latter, we did what we felt was best at the time—we pointed everyone at Ethan’s book, Responsive Web Design, and sheepishly nudged, “There’s more information about Responsive Design on the Internet.” Today, we’d have given each of them a copy of Real-Life Responsive Web Design instead of telling them to just “google it”. 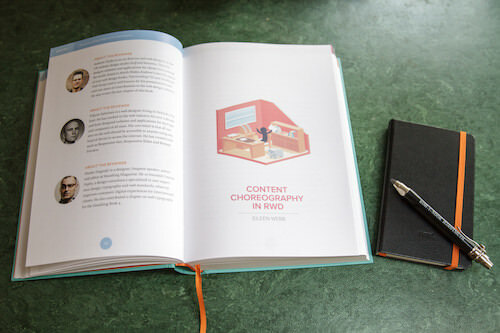 The chapters of the book are complimentary to each other, so the entire book is a collection of topics that go extremely well together, giving you a set of diverse topics that are sure to come in handy for any responsive design project you work on. It’s not often I read a book twice but I’ll definitely be going back to re-read these chapters. They’re packed. So, good book? Yes, very good! The book itself is a monster, a beautiful monster. 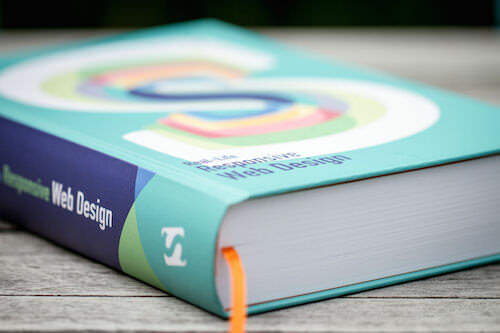 At nearly 600 pages, printed in hardback with glorious typography and beautiful illustrations, it's one of the most eye-catching web-dev books I've ever read. Reading the new Smashing book, which is timely as I'm spritifying some SVGs, and it's easier than flying @SaraSoueidan over to do it for me. There is a chapter on SVG for RWD by Sara Soueidan that kind of made me feel stupid, not because of how it was written, that was great, but because it introduced me to so many new things about SVG. What the heck have I been learning all of these years? Well, we can’t invite you all to our little party, but we’d be more than happy to celebrate our special day with a little birthday special. 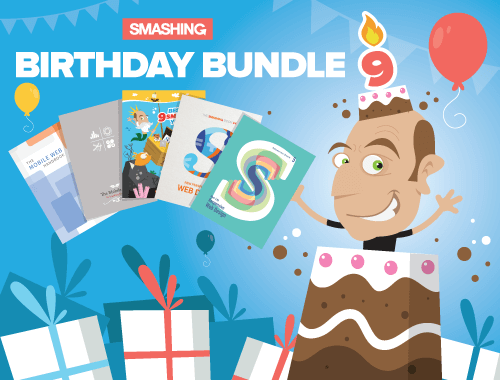 If you get a printed Smashing Book 5 today, you’ll also get five Smashing eBooks as a gift for your kind support: the Smashing Book 4, The Mobile Book, Mobile Web Handbook and a free eBook with a few chosen articles from the 9 smashing years. Thanks for sticking around all this time. We wouldn’t be Smashing without your kind and generous support.